Addl. CP, all Police Stations in Dwarka and nearby area will participate. After the meeting, Holi Milan will take place. 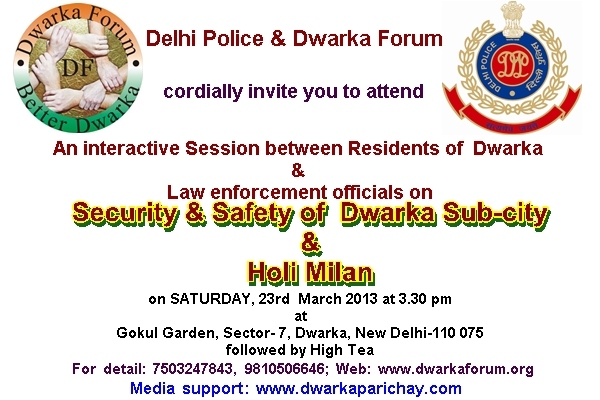 A Public meeting between residents of Dwarka and Delhi Police is being organized by Dwarka Forum on 23rd March (Saturday) at 3.30 p.m. at Gokul Garden, Sector 7, Dwarka, New Delhi. 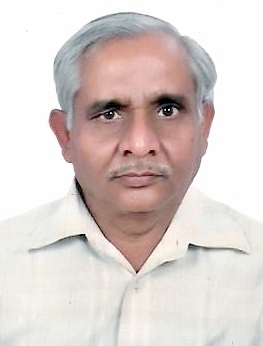 Additional CP, Sri A K Ojha, Addl. DCP, Sri R.K. Pandey, ACP Sri Samay Singh and Sri Mahendra Singh, (Traffic), Traffic Inspector (Dwarka) Ms. Shivani, In-charge of Police Stations of Sector 23, 16, 9 and Palam will participate in the meeting. After the meeting, Holi Milan along with high-tea will take place. All the residents are invited to participate.